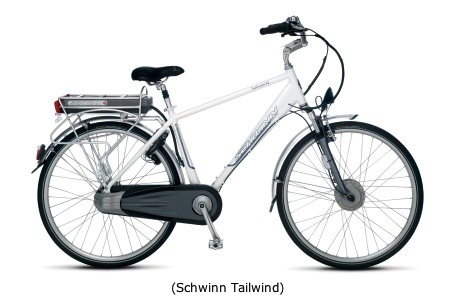 Electric city bike is also known for a variety of different names. Electric cruiser bike, electric comfort bike, motorized beach cruiser, electric urban bike and electric easy bike all refers to pretty much the same thing. They are all designed with comfortable upright sitting position. Common features are chain case, fenders, lights and more. The emphasis is on comfort. The electric city bike is for city errands, your leisure time riding, going to meet a friend, going to and from work, and basically any other short A to B trip. They are not meant to be used for your next mountain riding or next country crossing trip. 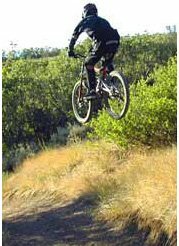 So if they are meant to use for comfort, convenience and enjoyment, why not add even more of that comfort factor to the bike by adding an assistance in a shape of a motor. And this is exactly what the electric comfort bike is all about. All you have to do is just choose how much assistance you want to get. This kind of bike have to be stylish, it should match the the expectation of modern city people. Design and style are set high in the order of priorities of today's consumers, e-bikes for city touring should be appealing to people like any other consumer product. 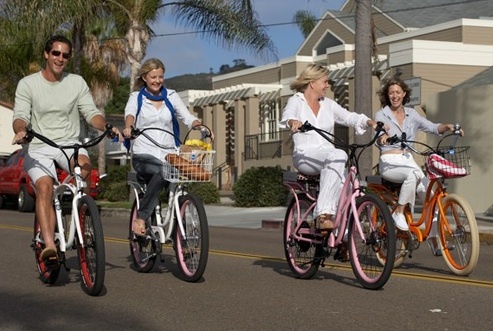 The electric cruiser bike is meant to bring you in style to your destination, without the need to look for parking space, without the need to be stuck in traffic, and without sweaty clothes. You have the option to choose how much assistance you want to get, so for example, in the way to work you can set the assistance to high mode and on the way back to get some exercise you can set the assistance to lower mode and even turn it off. Torque and acceleration is very important in the city. City trips include frequent stop & go, therefore the electric city bike should have good acceleration. It is more important then speed in the urban environment. The battery is also important, make sure there is a big enough battery. The frequent stopping and starting drain the battery faster then open road riding. So the typical advertisement of an open road range of 30 km is not valid in this case and instead the typical urban ride range is the more appropriate term. Also, I would suggest to get a simple console. It should include a simple and clear user interface. For safety considerations, It is very important to keep your eyes on the surroundings and not on the console.